I love nothing more than 100% guilt-free desserts. However, once in a while, especially for special occasions, I think it is totally ok to indulge in a little guilty pleasure. 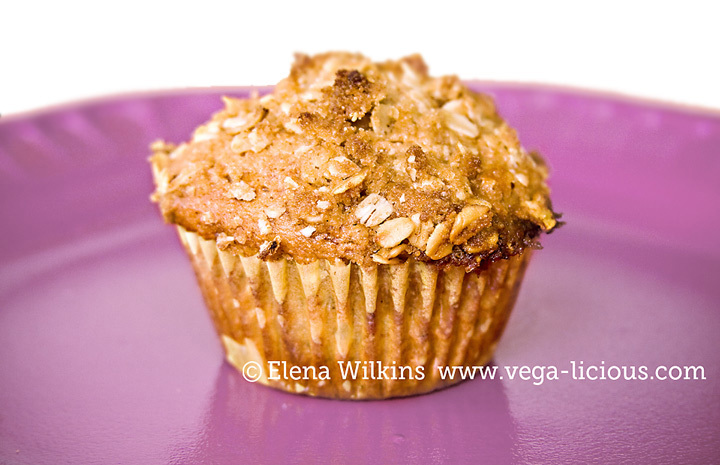 This delicious pear and granola muffin recipe is one such exception. While it might not be totally guilt free, it is totally worth the occasional calorie splurge. Make it. Enjoy it. Share it with others and let me know how you liked it. Line muffins sheet with paper muffin cups. 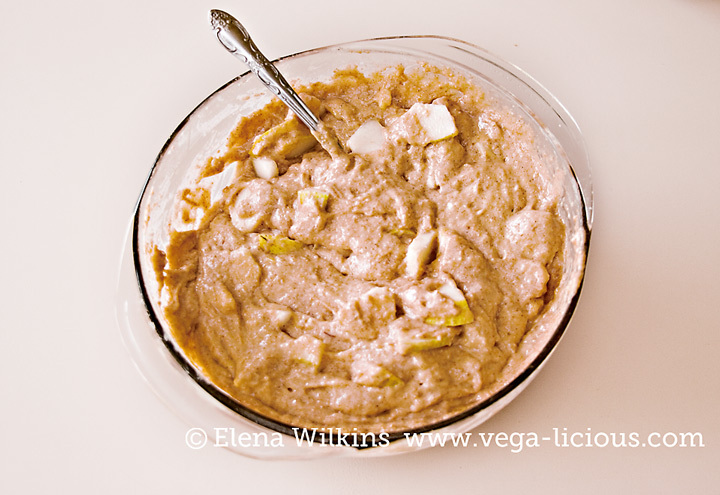 In a large bowl mix bananas, apple sauce, yogurt. Whisk in flour, sugar, baking powder, salt and cinnamon. Make granola topping: mix all ingredients together. Rub granola mixture with fingers until clumps form. Divide batter among 12 cups, filling each ¾ full (if it is slightly more than that, it won’t create a problem). Bake until a toothpick inserted in the center of a muffin comes out clean, about 20 minutes. 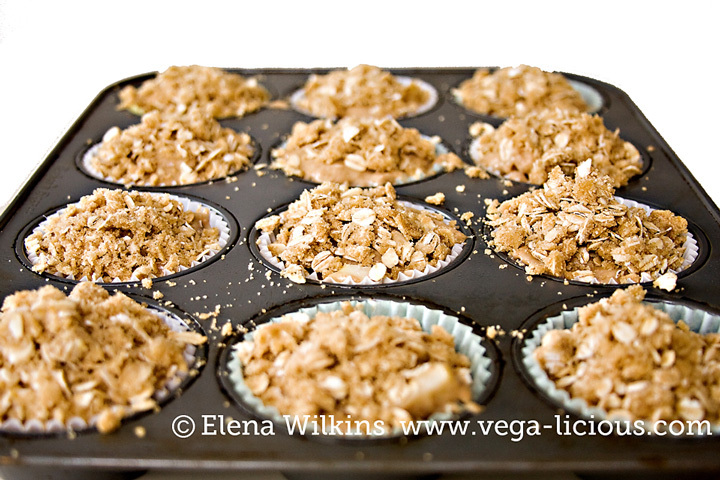 Cool for 3-5 minutes, remove from the baking sheet and place on a cooling rack. Cool for another 10 minutes before enjoying. Serve warm or at room temperature with a tall glass of almond milk. Share this post with your friends and family. Let’s make this world a kinder and happier place one delicious vegan dessert at time.